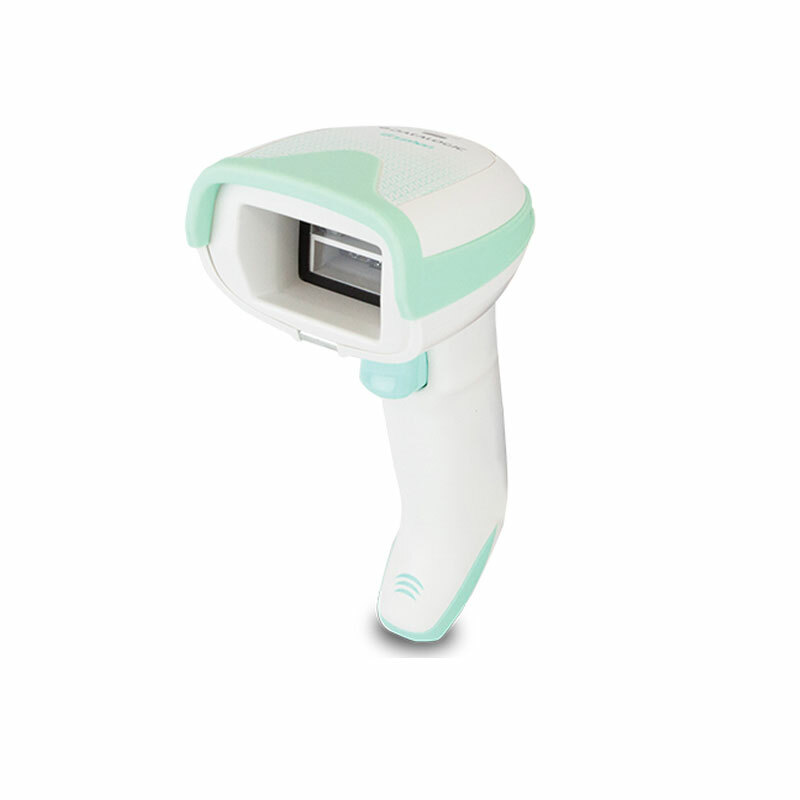 Datalogic’s Gryphon 4500-HC 2D barcode scanner series is purpose-made for healthcare environments. You can either choose between a corded version (GD4500-HC 2D) or cordless devices (GM4500-HC 2D or GBT4500-HC 2D) for more mobility. High density versions are also available. The wireless models come with the new wireless charging system. The Gryphon 4500-HC 2D series by Datalogic includes 3 models. You can choose between a corded and a cordless system with Bluetooth or STAR connectivity. Beside the standard range imager, you can select a high-density model. With all models you can easily decode any 1D and 2D barcode. Omnidirectional scanning is supported. The Datalogic Gryphon 4500-HC series will help you to improve patient safety and care by enhancing productivity and reducing error rates. Typical fields of use are laboratories, hospitals or other clinical environments. The devices come with a disinfectant ready housing, which withstands daily cleaning with harsh cleaning additives. All wireless models feature wireless charging. The handheld scanners come with highly visible white illumination and the well-known 4-dot-aimer as well as the ‘Green Spot’ technology for a clear good-read feedback. They are sealed IP52 and can be used within a temperature range from 0 to 50 °C.